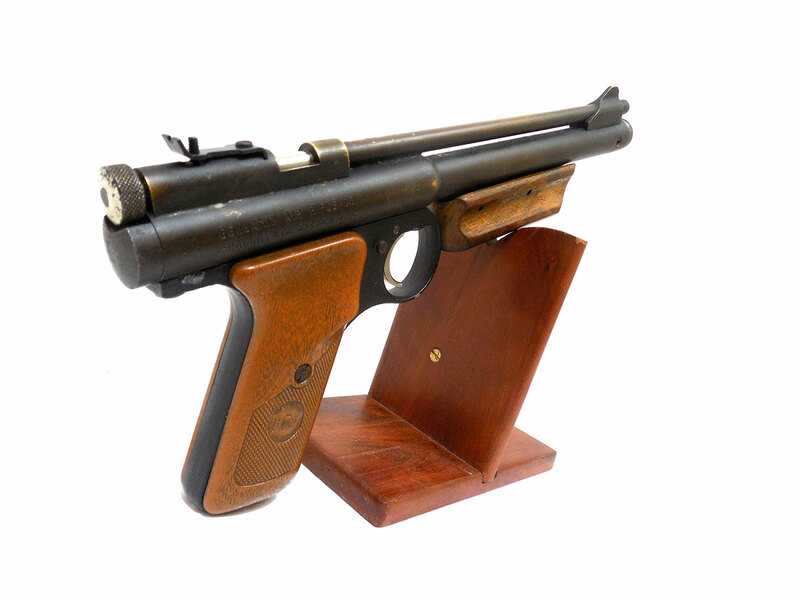 These are fairly rare pellet pistols, and were only made in 1985. 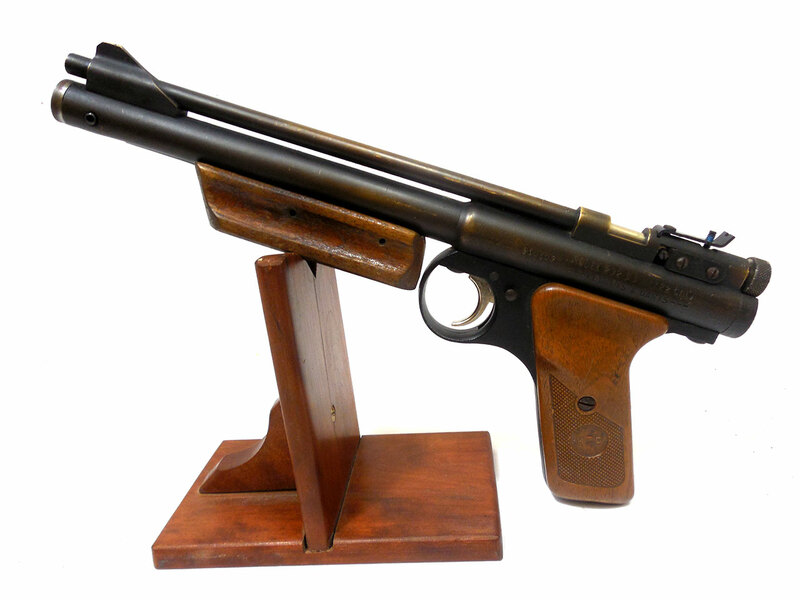 The Benjamin 232 is a .22 caliber multi-pump pneumatic, bolt action, single shot pistol. This one has plastic grips and wood pump handle. The original matte finish is thinning which reveals the brass underneath. 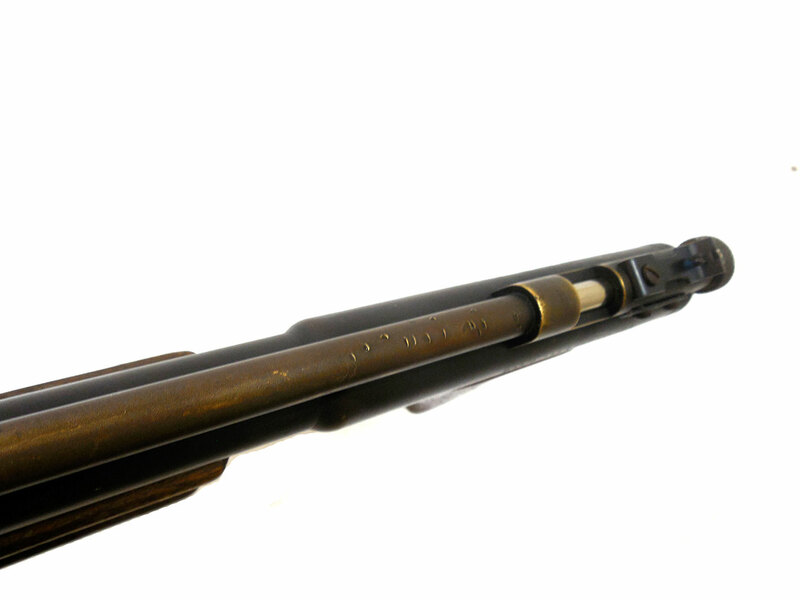 There are also a few marks along the top of the barrel. The plastic grips are in good condition with no signs of cracking or warping. This gun’s been cleaned, lubed, and resealed in our shop. 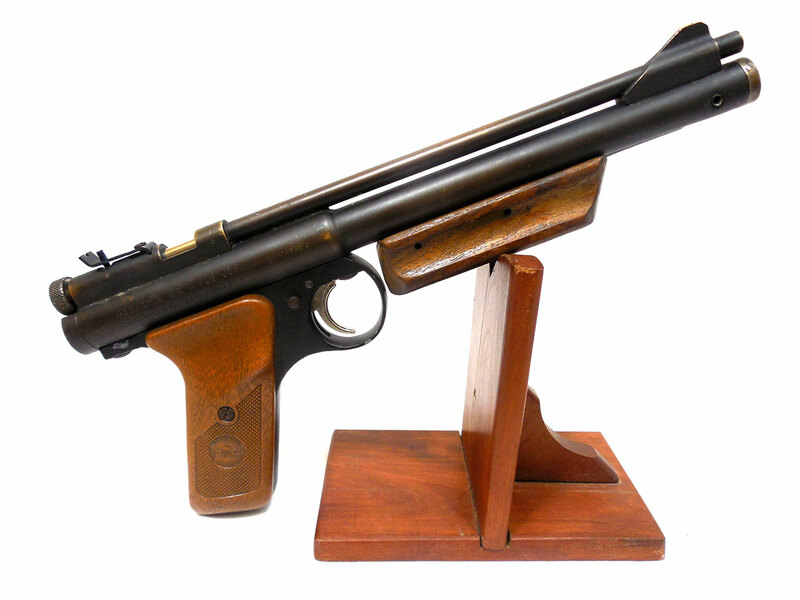 Velocity was tested at around 395 fps using lead pellets.